Just like a normal library, a tool library is a sustainable public service that provides community access to tools and an exchange of knowledge, at little to no cost. 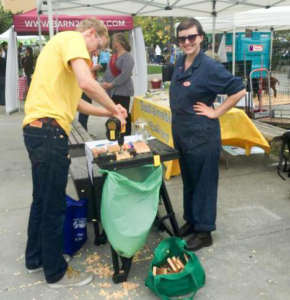 How does the Tool Library serve the Ballard community? When is the Ballard Tool Library open? We are in testing mode right now to see how these hours work. Please drop us a note or come by and let us know what you think. 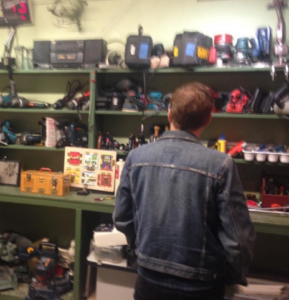 The Ballard Tool Library aims to be as inclusive as possible. Our membership fees are by suggested donation only. No qualified applicants will be turned away due to lack of funds. Members must be 18 and over. To become a member, you’ll fill out an application, sign a waiver, and make a donation. Then, you’re ready to borrow any of our available tools during your membership. Sustainable Ballard members automatically receive membership to the BTL as one of their benefits. Once you become a member, you’ll be able to borrow available tools. We will provide a real-time, online inventory of our collection, so you’ll be sure the item you need is available. Tools are checked out for one week and are due during open hours (PLEASE don’t leave that chainsaw just lying around outside!). You can renew your item for an additional week if no one else has placed a hold on it. What if I return my tools late? What if I break something? It happens! When you sign the waiver during the application process, you agree to only borrow and use tools that you are able to handle in a proper, safe manner. We suggest that if you must return a tool late, you make a donation. If something breaks, just tell us. We’ll do what we can to fix it. What if I don’t live in Ballard? Is there another tool library I can join? Donations, donations, donations! 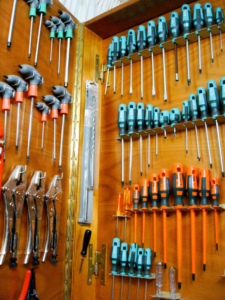 We aim to be fully sustained by our community so that we may provide membership to anyone regardless of income, maintain a location, and purchase needed tools and replacement bits. 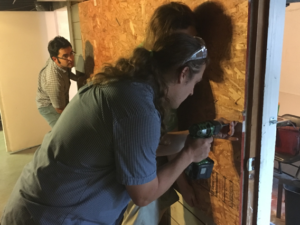 The Ballard Tool Library was recently awarded a $12,000 grant through the City of Seattle Department of Neighborhood’s Community Partnership Fund. We also ran a successful 2015 IndieGoGo campaign and have received generous donations from Verity Credit Union, Ballard Re-Use and tool donations from many of the other Seattle-area tool libraries. Please support us today by making a donation below. Can I donate my tools? What if I want them back? Yes! Keep in mind we are unable to return donated tools. We take donations during our open hours or events, please watch the Sustainable Ballard Events Calendar.